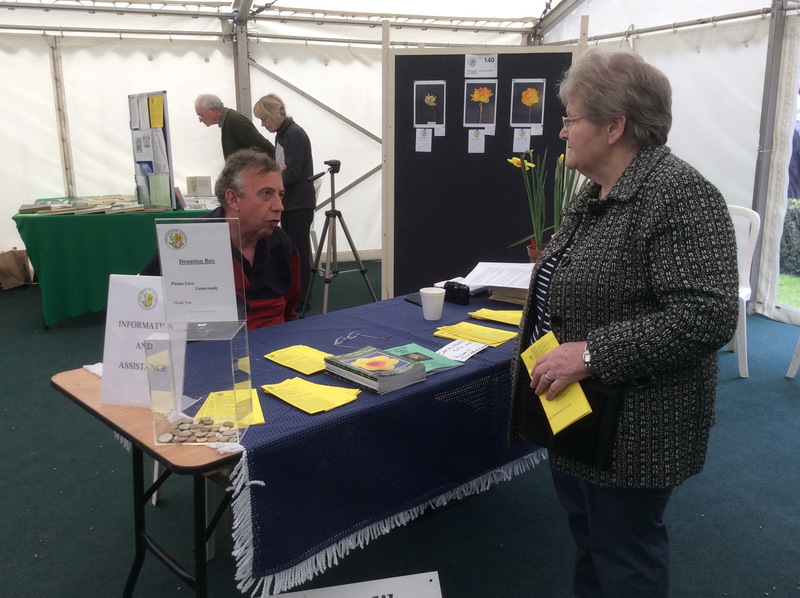 The Daffodil Society show at Coughton Court last weekend was a really enjoyable affair. 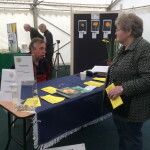 We welcomed exhibitors old and new and most seemed to be delighted with their awards. 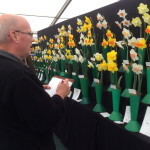 There were some truly magnificent flowers and photos and commentary will appear on the website shortly. 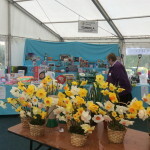 There is another DS 2 day show this weekend so please bear with the hard pressed reporters, photographers etc. 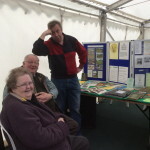 In addition to meeting and greeting over 2000 visitors there was a great deal to do behind the scenes as the pictures below show. 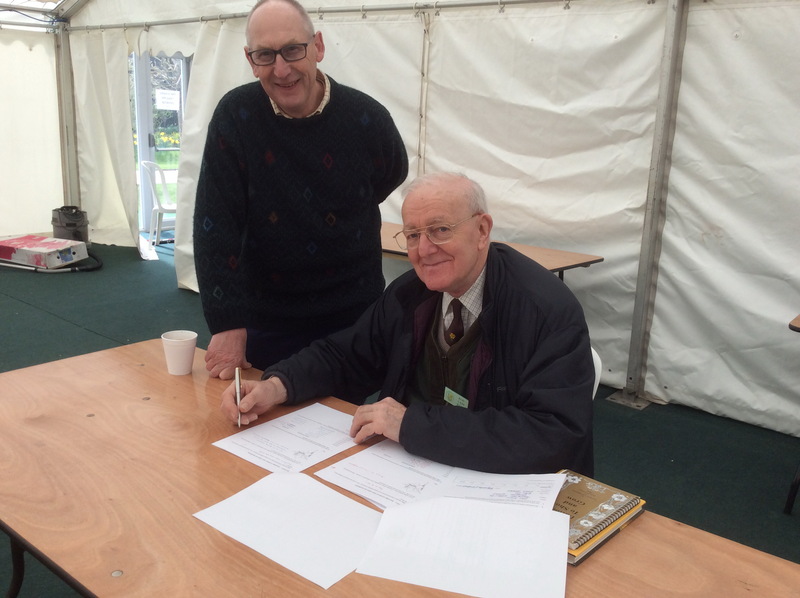 Ian Tyler was there to welcome visitors, answer many questions and recruit new members. 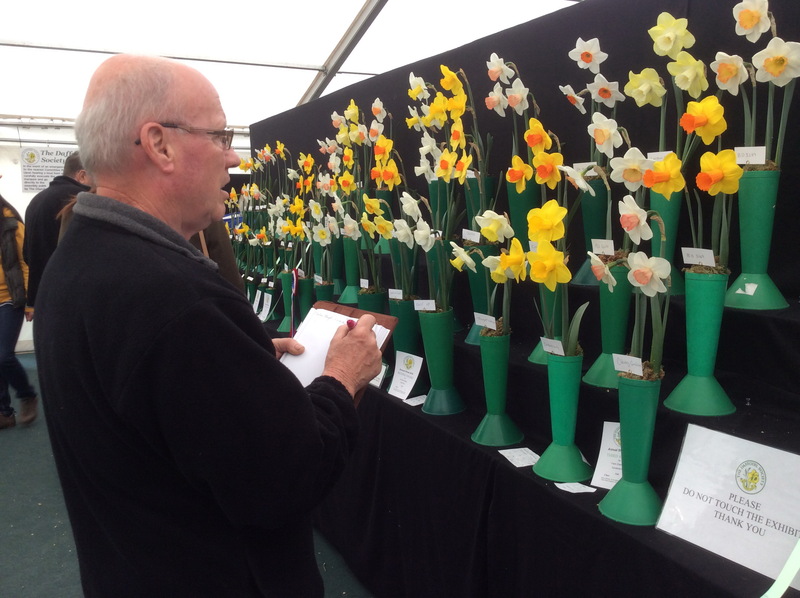 The mysteries of the daffodil classification system was shown in words and flowers. 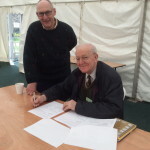 Many thanks to Ron Cain for preparing and marking the judges written and practical tests and committee members who supported the candidates through the practical tests. 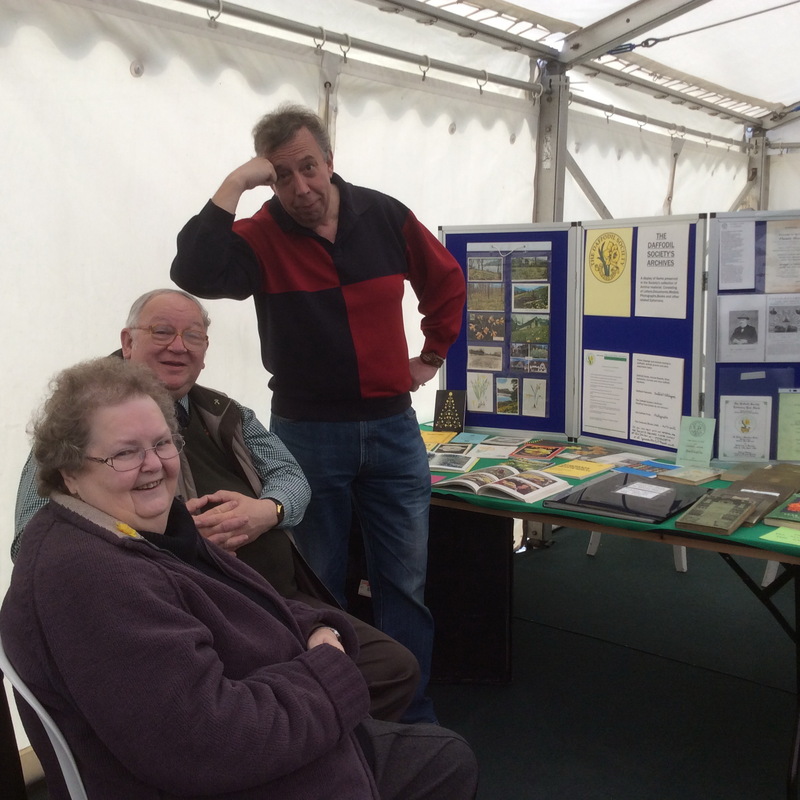 It was lovely to see Life members Jan and Lynne Dalton who brought a fascinating exhibition of items and cuttings from the Society Archives. 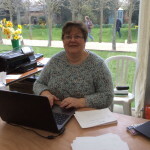 Our Members enthusiasm is just as strong but it is fair to say that there are more grey hairs and wrinkles than the photos in Jan’s display! 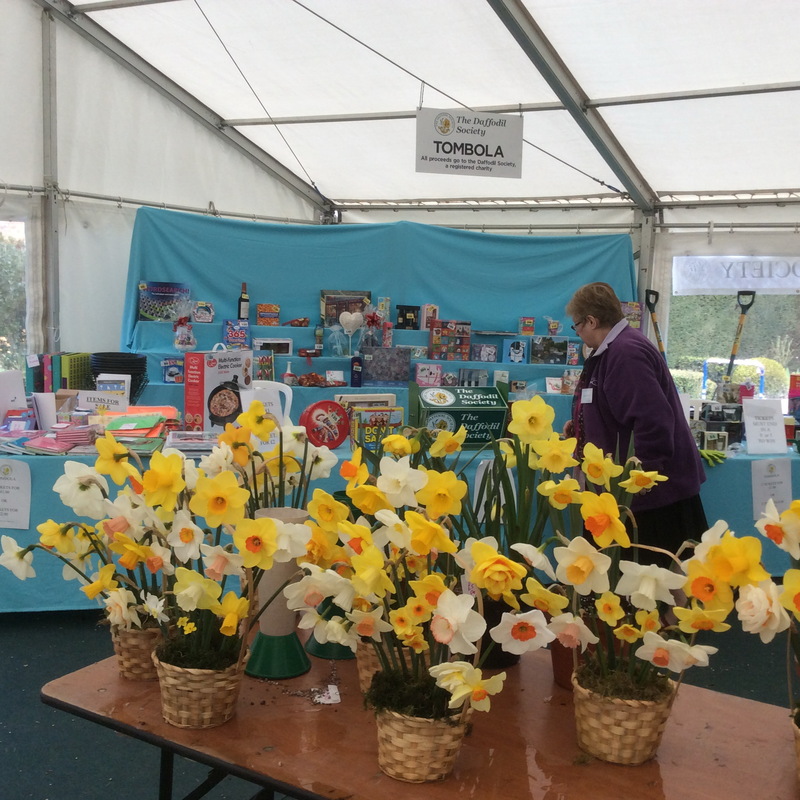 Wendy Gillings and her team successfully ran a huge tombola that helped defray the show expenses and Graham Thirkettle revealed his floral art talents by creating 50+ daffodil baskets throughout the weekend. 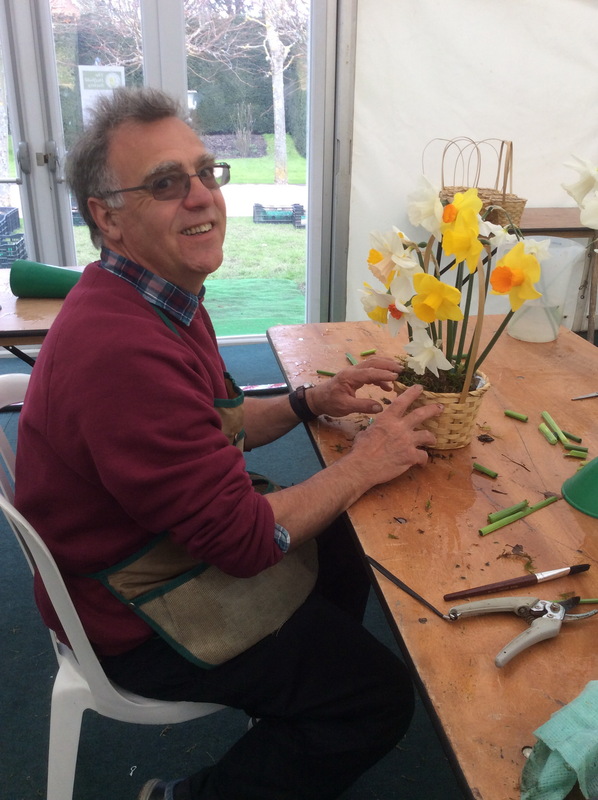 Richard Gillings stage managed the event in his own inimitable style as well as putting up some fine flowers. 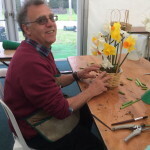 How does he do it! 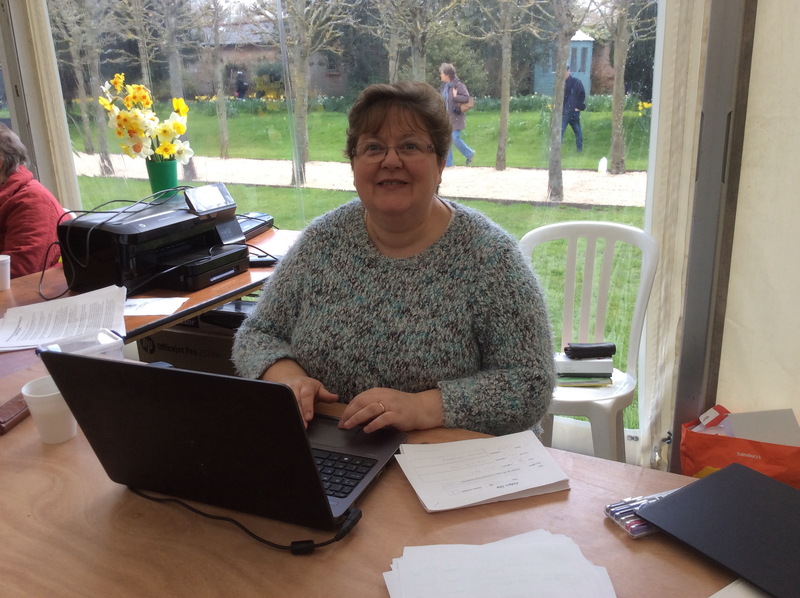 And finally, Show secretary, Gill Griffin administered all the show technical gizmos and paperwork to ensure the judging and awards were recorded and presented.